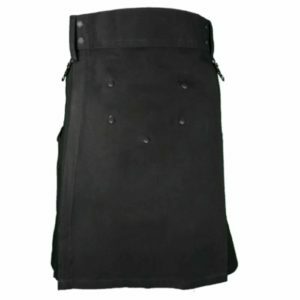 The Stylish Black Utility Kilt one of the best contributions to our inventory which has added beauty to our Utility Kilt.There are two Flap pockets on either side of the Kilt of V design. 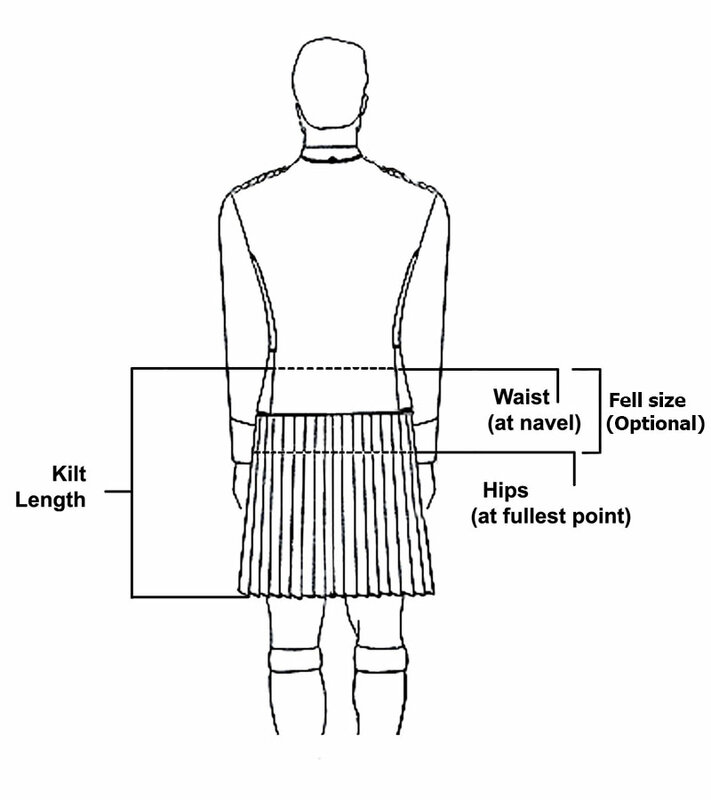 There are two buttons used on the Flap pocket of the Kilt which makes it really amazing. 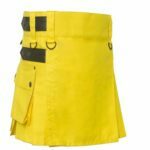 There are Chrome Hooks used on either side of the Jacket which can be left vacant or you can use those Hooks to tie up the chrome chain with it. 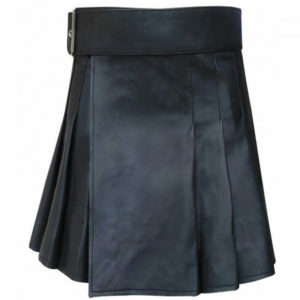 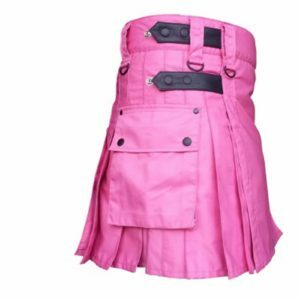 It is really one of the best and amazing Black Utility Kilt one could have. 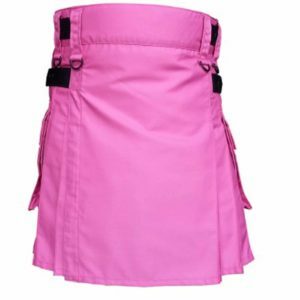 The pleats are sewn depth inside allowing the user full swing; although, pleats are customizable as per the requirement of the customer. 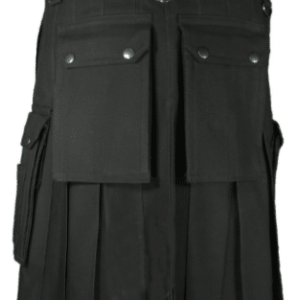 Now lets talk about the design of this stylish Black Utility Kilt. I have talked about every aspect of this Kilt in great details. 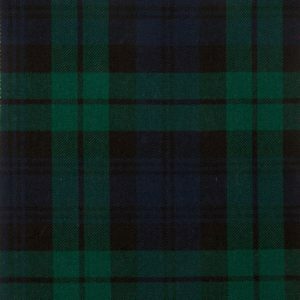 The Front of this Kilt is simple without much decorative materials. 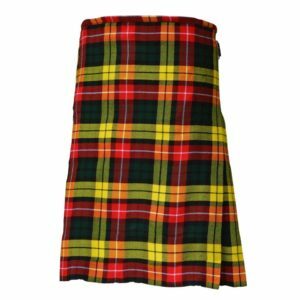 It falls straight without getting crumble which makes this kilt a perfect choice to go for. 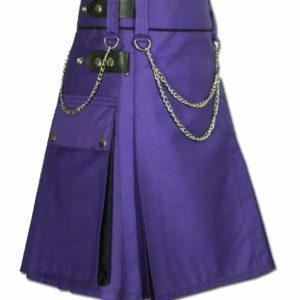 There are two V-shaped flap pockets on either side of the kilt. 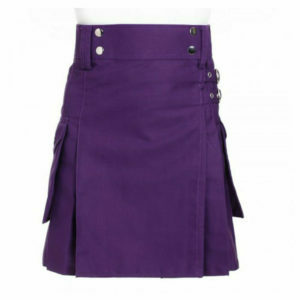 The pockets are decorated with chrome buttons and are large enough to store good amount of stuffs. 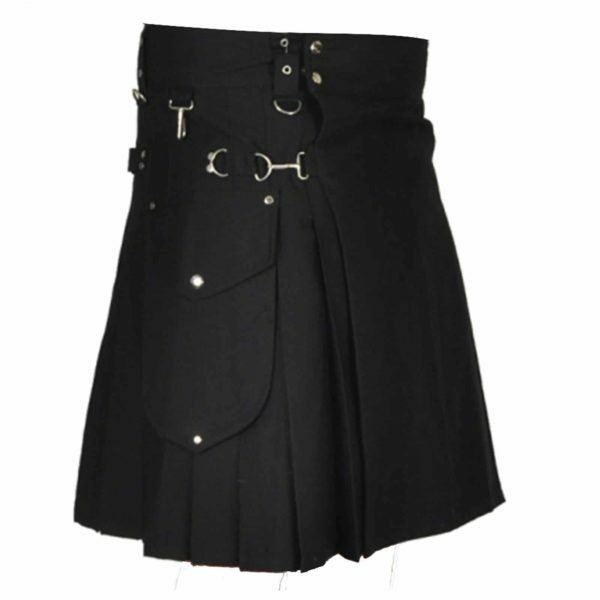 The Belt holder of this Kilt are quiet big which let you wear big belts with ease. 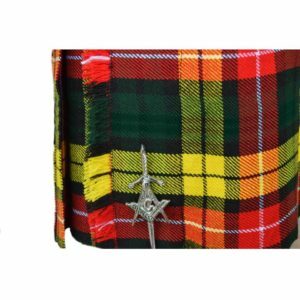 There are chrome holes used on the belt-holders for complementing the hooks used on the kilt. 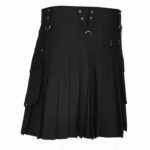 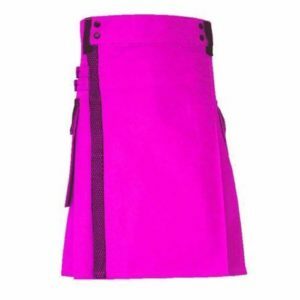 There are Chrome hooks used on the kilt for beautifying the Kilt and even those hooks can be used to tie up the chrome chain for making it look even more stylish. 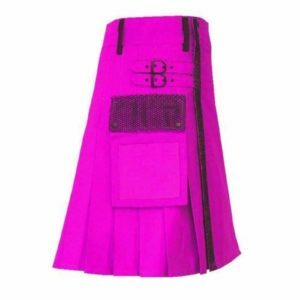 I can rock a kilt and find them to be beyond comfortable. 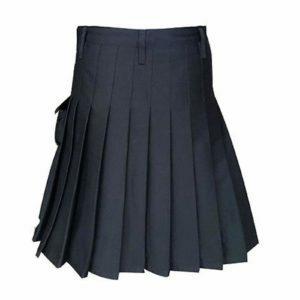 I’ve taken to wearing them for the hell of it when going out. 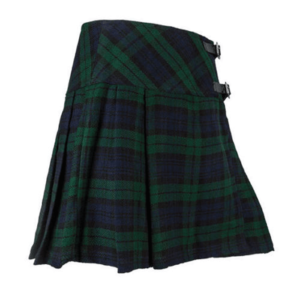 ALWAYS get compliments (and a few gropes to check to see if I’m wearing it “authentically”. If you measure as the description suggests, you can’t go wrong with the fit. 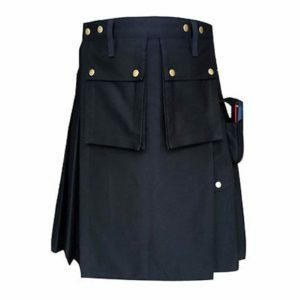 The pockets are great for carrying everything (you’d need a sporran if you wore a plain kilt). 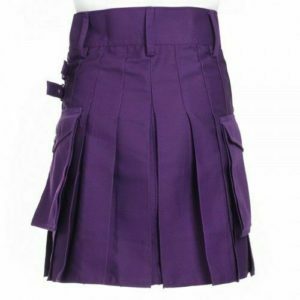 The fabric is fantastic, soft, and not too hot.